Many thanks to The Mommy Island and The Kids Did It for allowing me to add my HOLIDAY PRIZE PACK GIVEAWAY to their fun Super Stocking Stuffer Giveaway hop! That means you can enter my contest, then hop around to all of the other blogs listed in the links and enter their contests, too. Good luck!! Please note that this post may contain affiliate links to Amazon. To read more about my Amazon affiliate links, read my disclosure page. Now, on to the gift guide! Here are some of my favorite picks for the holiday season! This year I had the great pleasure of visiting Play Fair in New York City. You can read all about Play Fair in my publicity post here . Anyway, as soon as I saw these Pikmi Pops Surprise by Moose Toys, I squealed with delight. Something about them appeals to the 80's kid in me! The packaging looks like a lollipop, but when you open it, you'll find a little plush character on a string (and it's scented!! ), a mini message in an envelope, and a little collector's guide. There's also a little stand included so you can stand your pop up after you open it. Lucky me, my Pikmi was labeled as 'rare,' on the collector chart, and he smells like chocolate! They come in three types, too. There's a jumbo size, the surprise small (pictured here- great for a stocking stuffer!) and then the mystery pack, which features two Pikmi plush inside). There are over 45 to collect with 12 different scents, so get crackin! I don't know what kind of success you'll have in finding one this season, because they're just about sold out everywhere you go, but you can try finding one through my Amazon link here. We loved the Build & Imagine Draw and Build Dollhouse because it seems so simple at first glance, but contains a myriad of possibilities for building and creating! The kit contains magnetic pieces that can be placed together any way you want, as well as a write-on/wipe off surface so you can decorate the dollhouse, too. There's even a little stand up doll and markers included! You can find the Build & Imagine Draw and Build Dollhouse through my Amazon link here. Also from Build & Imagine is this cute Career Dolls Dress-Up set. Girl power reigns with this set, as the little dolls can be dressed to look like just about any career a gal chooses (want to be a rock star veterinarian? No problem!). All pieces are high quality material, and they come with a cute reversible backdrop (also magnetic, so you can add the pieces to it). They come in a handy carrying case, too. Find the Career Dolls set through my Amazon link here. I saw these awesome Chalk of the Town shirts at Play Fair last month, and I really loved the concept. You can use chalk markers to write anything you want on the shirt, and then wipe it off to write something else! Think how great that is for school spirit days, sports, field trips, pep rallies, special events, birthdays, or just a way to express yourself! You can buy them at some local retailers or through the Chalk of the Town website. Read my full review of them and enter to win a Chalk of the Town t-shirt kit HERE!! Safari, Ltd. has a great reputation for making museum quality figures, including dragons, animals, sealife, people and more. I love so many items that they sell, but some of my favorites come from their 2017 line. The Super Toobs and the regular Toobs contain a whole collection of critters to choose from. We had a blast playing with the Friendly Fairies set and the Gnome Family set. Just placing them outdoors really sparked our imagination! Take a look below and see! We also enjoyed playing with Bernie Alligator and Puff Dragon from Safari Ltd's 2017 line. These all make great stocking stuffers, too! You can find all of these items on Safari Ltd's website, or use my handy Amazon links below. You can also enter to win Puff Dragon and the gnomes in my holiday prize pack below! 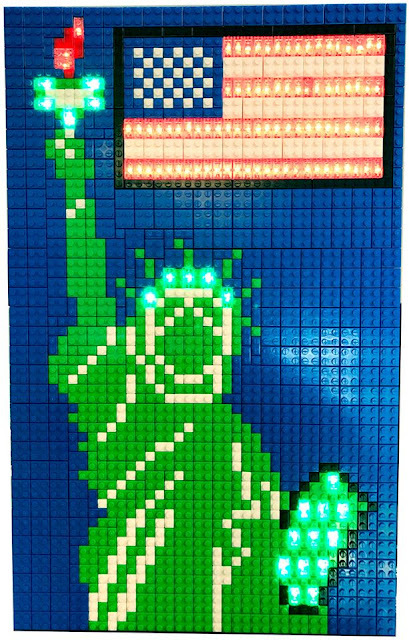 I have seen light up block sets before, but nothing quite like E-Blox. 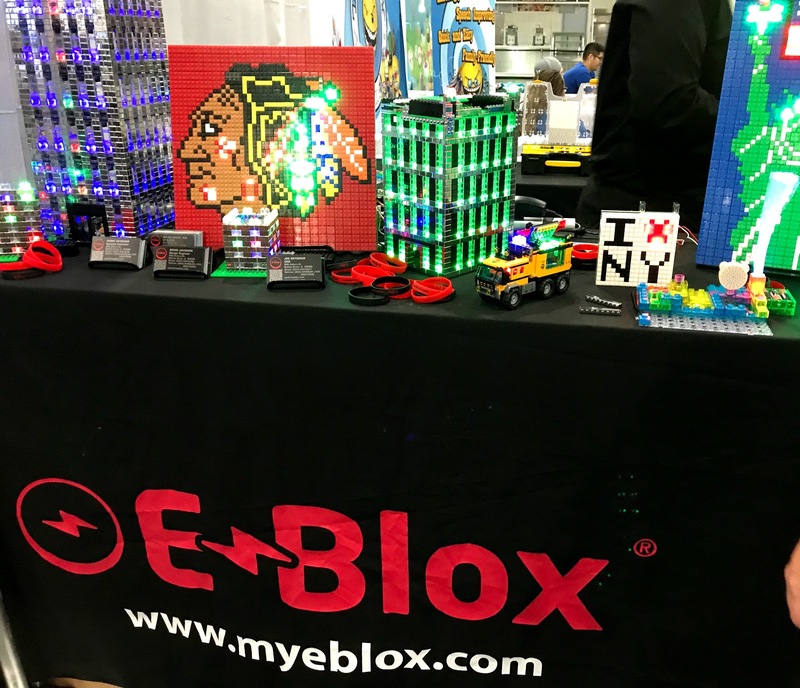 E-Blox allows you to use their patented technology, with one battery block and tin-plated blocks to light up or power your creations. The blocks are compatible with other building blocks on the market, too. There are no dangling wires in between the blocks. They are really unique and we loved their collection of creations on display at Play Fair when we visited. You can order E-Blox right through their website, and there are a variety of different kits to choose from. Over the summer, we had the great pleasure of sampling a kit from The ArtsBot, and I fell in love with the idea of it. 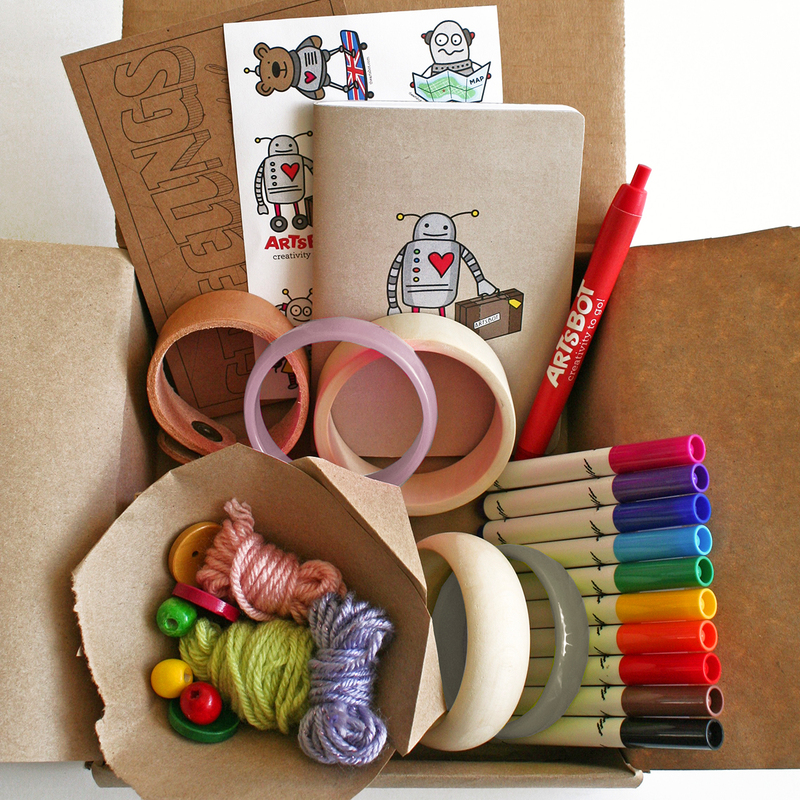 Each box contains everything you need for your creations, ranging from block decorating to jewelry making. There is something for everyone on The ArtsBot website, and we loved their earth-friendly selections. You can read all about The ArtsBot Kits in my post, or visit them yourself online. I love anything and everything Funko (I have an extensive collection of Funko figurines and Dorbz figures, too). I love, love, love their plush line! They have such a funny way of taking well known characters (even if they're evil!) and making them super cute!! The Harry Potter collection is adorable and they make great stocking stuffers. You can find Harry through my Amazon link here. I also love Baby Groot and Rocket from Guardians of the Galaxy. You can find the Baby Groot plush on Amazon here (but the one pictured above is only available through third party sellers here), and the Rocket plush here. Or enter to win one of your own in my holiday prize pack below!! Yeah, yeah, yeah, I know everyone features Hatchimals in their holiday gift guide, but this year, I didn't pick them just because they're the hot new toy. I actually love the idea that Hatchimals Surprise hatches twins! Yes, you get two Hatchimals and they are stacked on top of each other in the egg. They are about ten dollars more than last season's Hatchimal, but you get two for that price, and if you have two kids at home, well, that covers that, now, doesn't it? If you're lucky, you can still find Hatchimals Surprise through my Amazon link here. If these Hatchimals are over your budget, check out their CollEGGtibles Hatchimals, where you can rub the little heart to reveal a mini Hatchimals figurine inside. You can win one of your own in my holiday prize pack below! I have loved Insectlore kits for years, and you might have seen some of their butterfly cages pictured in my post about raising monarch butterflies. I've used their kit to raise painted lady butterflies before, and they make it really simple and fun for kids. The kit is awesome because it contains everything you need. Don't worry, there are no living caterpillars in the box. You'll get a voucher that you can use during the correct season, and they'll send you a little container of caterpillars. Everything is really easy and pretty stress-free as far as butterfly raising goes. They also offer ant kits and a praying mantis kit seasonally (I love you, Insectlore)! Find their awesome deluxe butterfly kit through my amazon link here. It comes with all of the fun things you see pictured below. And eventually your beautiful painted lady butterflies will look like this! I understand the appeal of the Grossery Gang items, knowing that I grew up with Garbage Pail Kids and Wacky Packages, both of which were equally weird and gross at times. The Grossery Gang is made by Moose Toys, and the Muck Chuck Garbage Truck enables kids to house their collectible Grossery Gang figures in a funky garbage truck, as well as launch them from the dumper. What more can a kid ask for? You can find the Muck Chuck Garbage Truck through my Amazon link here. I don't have a Muck Chuck Garbage Truck to include in my super giveaway, but I do have a Grossery Gang blind box figure just for you, so be sure to enter! I hope some of these suggestions help you out with your holiday shopping this year. Have a wonderful, fun-filled time with your family- now go and enter my giveaway and scroll below for more contests in the blog hop! The Fine Print: this contest is open to U.S. residents only, 18 and over please. Prize pack comes with everything you see pictured here. One winner will be chosen at random via Rafflecopter, and must be willing to provide a valid email and home mailing address. Winner will be contacted by email and must respond within 24 hours, otherwise a new winner will be chosen. Entrants who do not follow the Rafflecopter instructions will be disqualified. Please note that if you enter the blog hop, The Jersey Momma is not responsible for any of the other blogger's prizes or contests. Please see their blogs for their rules. Have fun! *Prize Pack valued at over $40! Please note that the prize is only the above items pictured. 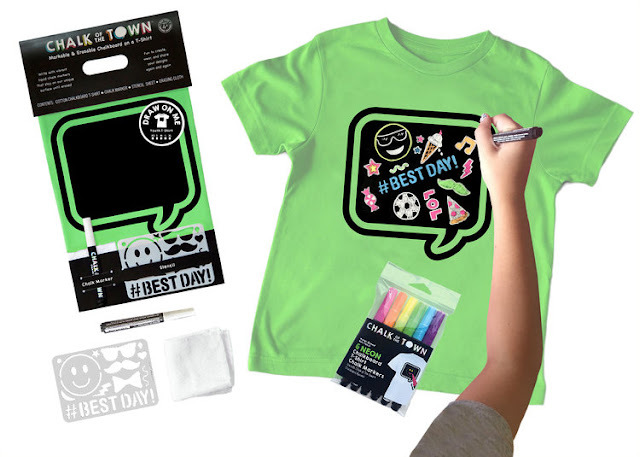 You can enter my separate contest HERE to win a Chalk of the Town T-Shirt Kit, too! And don't forget to join The Blog Hop below! I like the Funko Pop Plushies the best, especially the Groot one. Hatchimals suprise is my favorite because it's on my daughter's wish list! She wanted one last year but they are expensive and hard to find. Thanks for the chance. I like the Hatchimals CollEGGtible pack. I like the Funko plush Rocket Raccoon the best. My favorite is of course the butterfly kit! I am intrigued with the mantis one. I wonder if you can order the critters without the rest of the kit since I have enclosures.... must check them out. I really like the Insectlore Butterfly Kits! What a fun and educational tool! The Faries and Gnomes! I love both and would have a lot of fun creating a garden for them. I like the Grossery Gang Muck Garbage truck. "Which item from my holiday gift guide do you like best?" The ArtsBots kits! The design is so cool! My favorite is the draw and build doll house :). I like the Funko Plushies! I like the Insectlore Butterfly Kits. Would like to do that next Spring. I love the butterfly kit. I try to get my kids to care about nature. Flyergal82 at (yahoo /dot! -com? 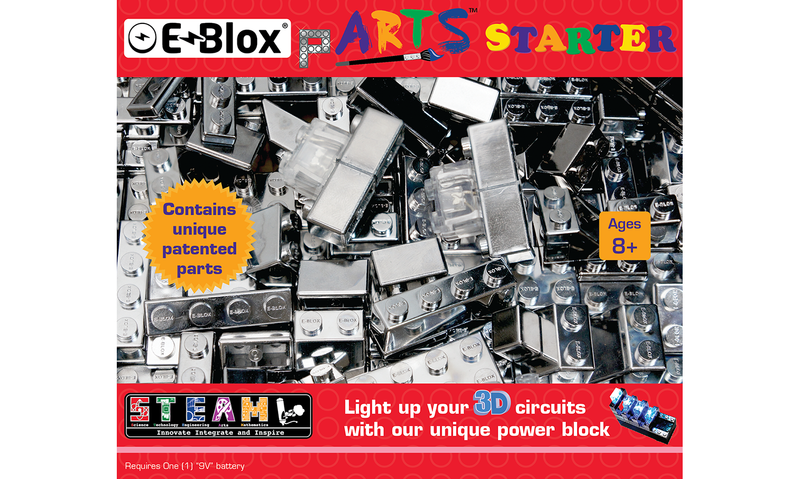 My favorite are the E-Blox. I’ve never heard of those; would be a nice gift for my daughter. My daughter is a huge fan of the hatchimals Colleggtibles! I really like the Pikmi. Smells like chocolate, I'm in!!! The Funko Plushies are my favorite! Thank you for the chance to win! I love the Safari Ltd Puff Dragon. The Funko Plushie! Very cute. My favorite is the Funko Plushies- with Grot and Rocko! I like the butterfly kit! My favorite is the Insectlore Butterfly Kits. I think it'd be interesting to raise butterflies. Thanks. My favorite is the Funko Plushies we love Funko's at my house. I love the Chalk Of The Town Shirts-very cute idea! I love Funko the Rocket Plushie. The Hatchimal! Thats on my daughters Christmas list! I like the rocket plushie. i like the career dolls dress up set. It reminds me of the sets we had when I was little. I like the Hatchimal Surprise most! I like the Safari Ltd. - Toobs, Dragons, and Animals it is super cute. I like the Funko plushies. I had no idea they made them. My boys would love them. I like the Hatchimals, and so do the kids. Thanks! My granddaughter want the Htchimals. She is wanting it for Christmas. My favorite is the Pikmi. Thank you for the giveaway! I would have to say my favorite is the hatchimal. 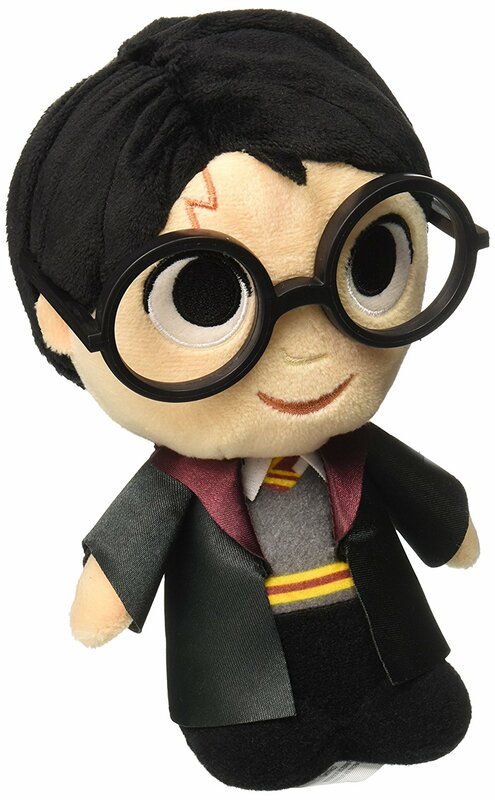 The Harry Potter Funko Plushies! Now I gotta look to see if they have Snoopy ones! I admit, the Funko Rocket plush BUT what I love about your gift guide ideas is that there is a little bit of everything for different people. This would fill the stockings of all my kids plus me (the chocolate LOL). I love the Gnomes!! They are so cute and my daughter loves Gnomes.